I feel such a sense of accomplishment when I finish a product that I kind of need to do it justice by writing about it. Ever since I got into Asian beauty products a couple of years ago, I’ve been so inundated by products that I don’t always finish a product and it ends up going to waste. I’ve vowed to turn over a new leaf by purchasing ONLY things that I need to replace something else I’ve used up, and I’m focusing on reducing waste by using up my giant stash =). I’ve made some decent headway so far! I’ve just about finished my second bottle of the Secret Key Starting Treatment Essence, and I will most likely repurchase it. 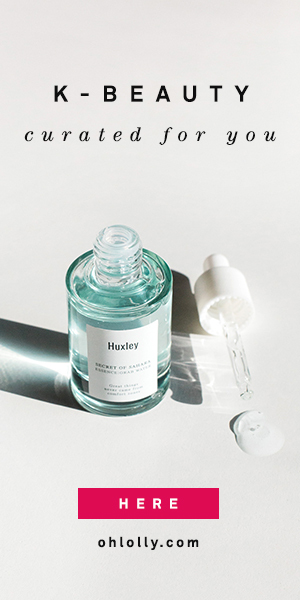 This is an inexpensive first essence or watery toner that contains ferments similar to the more expensive Missha Time Revolution First Essence, Iope Bio Essence, or SKII First Treatment Essence. I think the Secret Key essence is a great alternative if you don’t want to shell out the big bucks, especially since I go through it pretty fast (< two months). It feels like water when I pat it on my face, but more moisturizing and soothing. It’s a perfect first thin layer of moisture and I find my serums absorb much better if I use this first. Another big plus, not much of a scent. My routine from a couple months ago. The Secret Key essence, Mizon Placenta ampoule, and Guerisson horse oil cream have carried me through the winter with nary a flake in sight! This rich but silky cream was a lifesaver during the winter months. I know the star ingredient, horse oil, is a bit controversial and I totally understand those who don’t feel comfortable using it. It truly did help keep my skin moisturized when it was very dry, though. It’s an oily feeling cream but somehow, once rubbed in, it is absorbed quickly and just leaves your skin feeling super soft. I have normal-combination skin that is very dehydrated and I was afraid this cream would be too rich, but it actually was perfect as a night cream. It has a citrus scent with an undertone of something less pleasant — animal oil? — so that could be a deal-breaker if you’re sensitive to smells. I ordered this for my mom who struggles with dry skin and she was very excited to start using it, because apparently horse oil is all the rage among Asian ladies of the 60+ set. This ampoule is surprisingly watery, so works really well right after my first essence and before heavier serums. I will definitely re-order the Mizon Placenta Ampoule — it absorbs quickly, hydrates, and plumps out your skin noticeably, without weighing it down. I found that with regular use it smoothed out fine lines on my forehead (albeit temporarily). It also contains niacinamide to even out your skin tone. For someone with dehydrated skin like me, it’s perfect as one of my early hydrating layers to saturate my skin with as much hydration as possible before sealing it in with heavier products (you must seal it in, or all that moisture will evaporate quickly). I do use a generous amount, so this ampoule only lasted 2 months. This hyaluronic acid serum is kind of random. It’s one of the many many “best” serums on Amazon that have a zillion (fake? real?) reviews and claim to plump your skin better than Botox. Randomly, my DAD of all people saw it on Dr. Oz and decided to order it for me. Which was very thoughtful of him! I did use it all up, though it’s a small 15ml bottle so that wasn’t too hard. The serum is pleasantly hydrating, though it feels a bit sticky until it absorbs. While it claims to have a high (“the highest”!) concentration of hyaluronic acid, I didn’t find that it worked any better than my other hydrating serums. Still, it was a nice basic hydrating step and while I won’t order it again myself, I won’t say no if my dad decides to order me some more =). Oh, and this serum also contains a stable form of vitamin C which supports skin health in many different ways (anti-wrinkle, anti-pigmentation, anti-acne), which is a nice plus, though I didn’t notice any discernible brightening. I kind of like doing these mini-reviews; they help me to put a dent in my review backlog! Hope you enjoy! This post contains an affiliate link, which means that if you purchase something using my link, I’ll get a small commission. This doesn’t cost you a penny more, and helps me to continue reviewing products on this blog. Thanks!